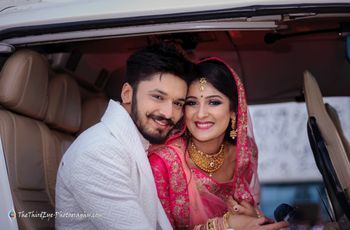 Registry Marriage Rules 101: Here Are The 4 Things You Need To Prepare For A Court Marriage | Wedding Tips ARE YOU A VENDOR? 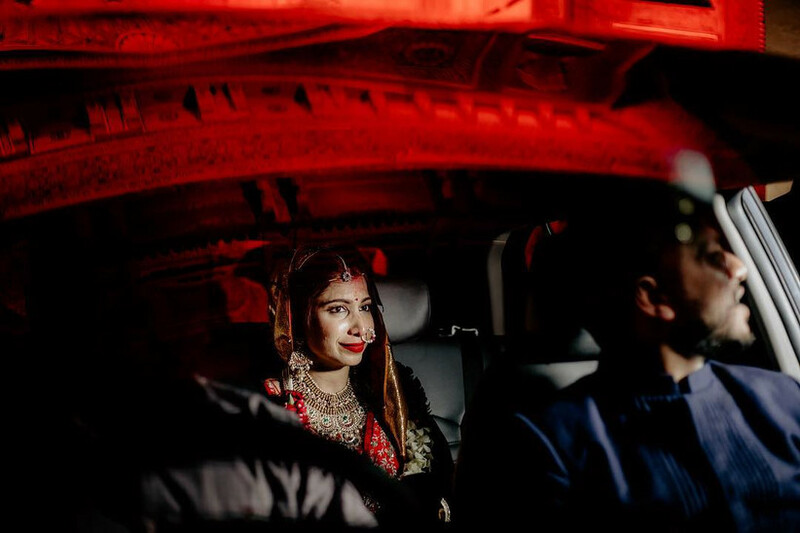 Marriages in India are growing less traditional by the minute. This is fantastic news for lovely couples who do not want to live up to random expectations placed on their relationship by others. Whether you do not believe in the opulent display of wealth that accompanies most weddings or just want a simple ceremony at a courthouse, followed by a more exciting honeymoon, you must consider the option of court weddings too. The idea of a court wedding may seem a little strange at first. After all, if you haven’t fed 500 strangers during a party, does it still count as a wedding? Focusing on your marriage, rather than the event of your wedding can be a more mindful approach to this new chapter in your life. If you’re planning to host a simple marriage, then you must be well versed with all the registry marriage rules. 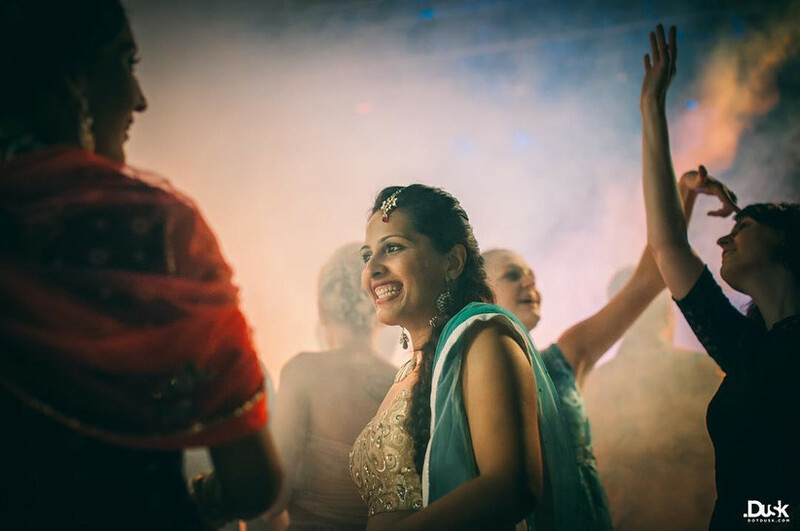 Following them precisely can help you prevent any hiccups on your big day. Fortunately, in India, registry marriage rules are uniform throughout all states. 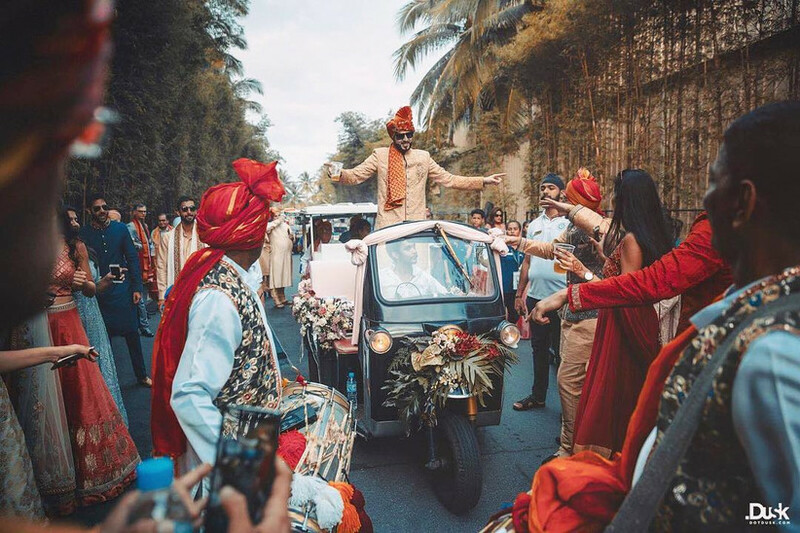 Thus, you do not have to worry about any misses if you happen to be getting married in a city that’s far from home. As is the case with most legal proceedings, you must have all your documents in order. Ensure that the two of you bring your birth certificate, driver’s license, Aadhar card, PAN card or passport. Your Class X board exam mark sheet will also be admissible. Basically, what you need is a document that shows your date of birth clearly. Furthermore, you also need to bring residential proof. This can come in the form of your voter ID, telephone bill, PAN Card, Passport, Aadhar card or electricity bill. 2. You need to put up a 30-day notice before getting married! This is perhaps one of the most important registry marriage rules that you must keep in mind. The couple must declare their intention to get married at least 30 days before the marriage date. The registry office personnel will then put up a formal notice on their notice board regarding your wedding. This rule was set in place to allow relatives or others reasonable time to object. As India does not allow polygamous marriages, officials came up with the idea to put notices on full display to prevent any unwanted marriages from taking place. 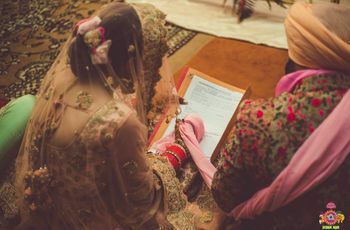 According to registry marriage rules, couples must have at least 2 witnesses to sign their documents to make the marriage legal. More often than not, couples choose their parents as their witnesses, but there’s no rule saying that you’ve got to pick relatives. If you want to make this moment extra-special, you can always choose a friend who means a lot to you and honour that person by making them your witness. It’s like a legal twist on having a maid of honour or a best man! 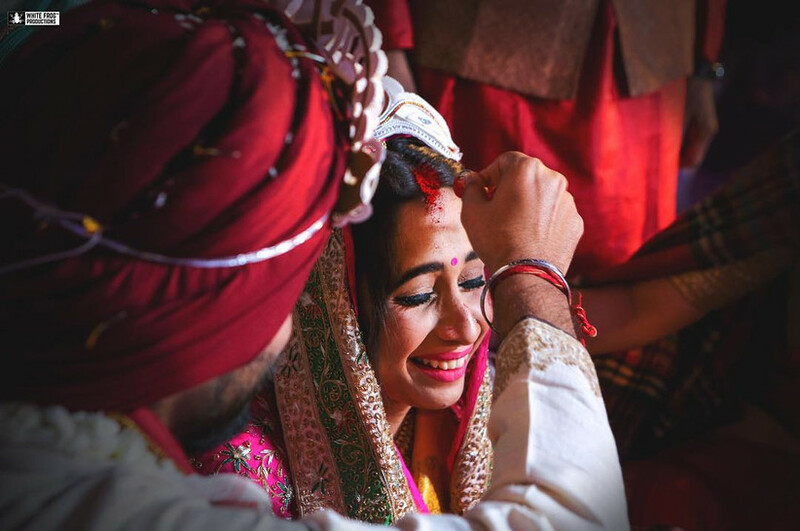 The only registry marriage rules regarding the witness is that they must be of legal age and they must not be forced into signing the documents. You can pick virtually anyone you know. Of course, you can! There are no registry marriage rules that state that displays of culture or tradition are forbidden! At the end of the day, the wedding is a reflection of who you are. 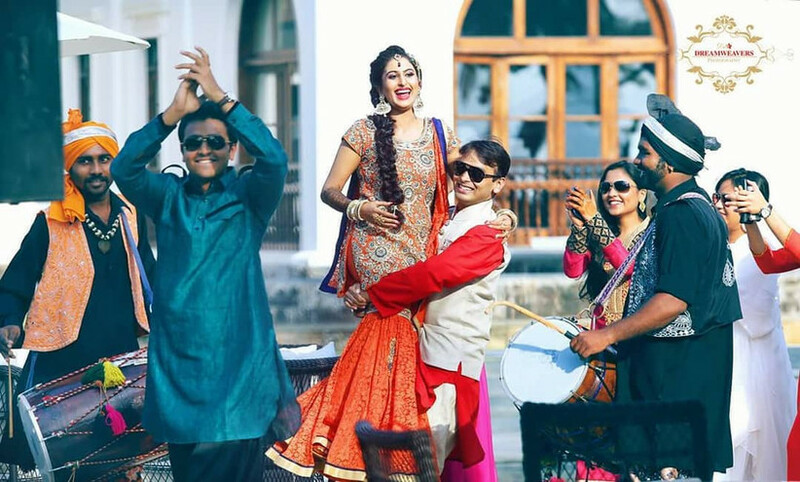 So, if you want to follow the registry with a fun Sangeet ceremony afterwards, there’s no one to stop you from doing that. 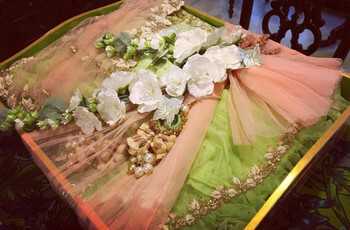 Many brides also bring Mallas with them to the registry offices so that they can carry out this little tradition before the procedure begins. Some grooms still sprinkle Sindhoor into the parting of their wives’ hair. Similarly, grooms pick simple Mangalsutra designs and bring the same with them to add a little touch of tradition to the wedding. 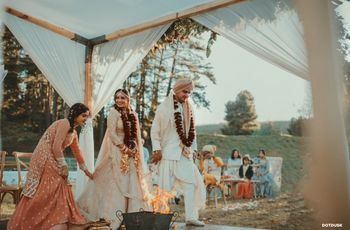 Other ways to incorporate your culture during such weddings is bringing a small Thaali with you for a short Aarti if that is something that you believe in. The easiest way to add a splash of tradition to your wedding is to bring a box of sweets and feed each other the first bite! As long as you follow the main registry marriage rules, you can do what you like afterwards. Now, just because you’re planning a registry marriage doesn’t mean you must look drab! Get in touch with our makeup artists to look glamorous on your big day!